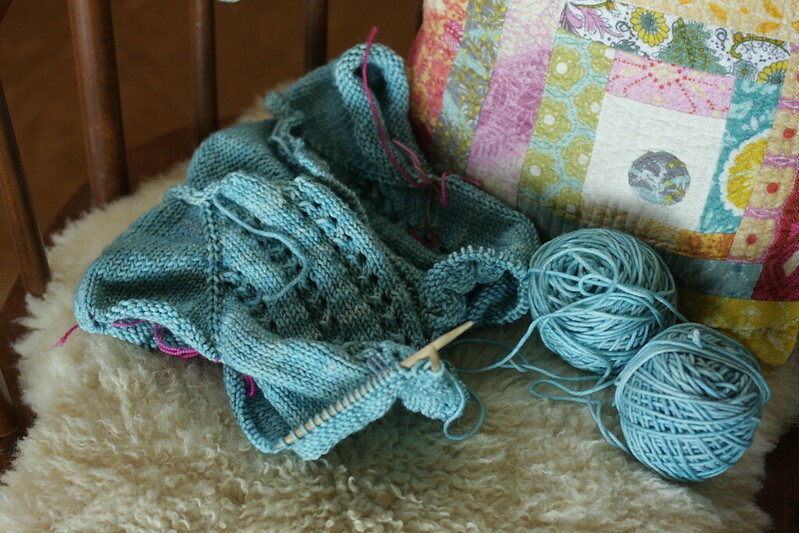 At this moment I am feverishly working on an Easter sweater for C. I am hoping to finish it far in advance so that I can get going on her birthday gifts. Her birthday is just a couple of weeks after Easter. Some Easter sewing will begin very soon. I ordered these adorable bunny kits from Alicia Paulson over at Rosy Little Things and they should be here any day now (since we live in the same city and all). I am super excited to get started on them. They will take precedence over all my other crafty endeavors, as I am hoping to make one for each of my girls (I plan on making a boy version for Little L in the future when he is a bit gentler with his toys). There is quite a buzz around these bunnies and I have a feeling you'll soon be seeing them all over blogland, if you haven't already. I know quite a few of my blogging friends are making them for Easter, too! I have both of Alicia's books from the library right now. Talk about inspiring! The girls and I have been perusing Stitched in Time on a daily basis and each time they give me new orders on what they want me to make them first. I am also thinking new Easter dresses but we'll wait and see. I might be overdoing it...just slightly.